Roland Barthes, widely regarded as one of the most subtle and perceptive critics of the 20th Century, was particularly fascinated by fashion and clothing. 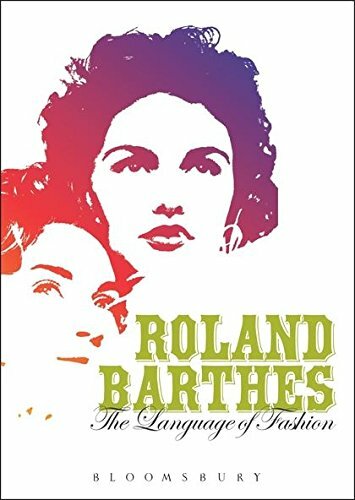 The Language of Fashion brings together all Barthes' untranslated writings on fashion.The Language of Fashion presents a set of remarkable essays, revealing the breadth and insight of Barthes' long engagement with the history of clothes. The essays range from closely argued essays laying down the foundations for a structural and semiological analysis of clothing to a critical analysis of the significance of gemstones and jewellery, from an exploration of how the contrasting styles of Courrges and Chanel replayed the clash between ancient and modern to a discussion of the meaning of hippy style in Morocco, and from the nature of desire to the role of the dandy and colour in fashion.Constantly questioning, always changing, Barthes' ideas about clothes and fashion remain to provoke another generation of readers seeking to understand not only the culture of fashion but the fashion of culture. If you have any questions about this product by Brand: Bloomsbury Academic, contact us by completing and submitting the form below. If you are looking for a specif part number, please include it with your message.